“Everything!” hollered a passerby from a streetcar window. 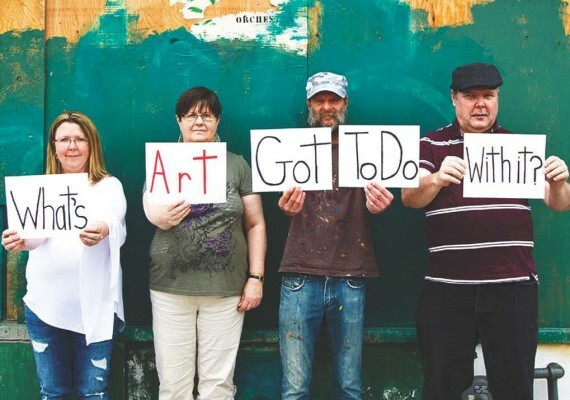 What’s Art Got to Do With It?, Fryszberg and Parsons’ documentary about the Creative Works program, takes viewers inside the world of mental illness, homelessness, addiction and recovery. The film features five people who, despite their unique challenges, find fulfillment and celebration in art. The studio, part of St. Michael’s Inner City Health Program, offers healing, recovery and community through the creative arts for people living with a mental illness. Fifty minutes in length, the film has been a labour of love for Fryszberg, Parsons, Marlena Zuber (studio assistant) and the project participants for the past several years. It’s also the product of a Canadian Institutes of Health Research dissemination grant to share research knowledge and innovative practice. “We’re excited about promoting the studio through this film, but we’re also excited about this idea of documentary filmmaking as a knowledge translation tool,” said Fryszberg. The documentary has been accepted by the Female Eye Film Festival and had its world premiere at the Carlton Cinema on June 20. There will also be a screening for the St. Michael’s community at the TIFF Bell Lightbox on Oct. 1. Go to Our Work to find out more about what we do and to view more HUB projects.